A charming traditional house + villa and cottage. Mature gardens with 2 pools. Truly unspoilt coastal village (National Park). Authentic village life with modern comforts. No Stags or Hens. Spacious villa perfect for friends and family gatherings up to 18 people. Private, swmiming pool, hot tub, barbecue, games area, gym, free WiFi, 15 minute drive from the beach. Near Faro, Algarve. "Gite" style property with large private swimming pool, secluded yet convenient location, 5 self catering cottages, sleeping up to 18 people. Walking distance to beach. Catered 19th century country house and family farm with 9 en suite rooms. 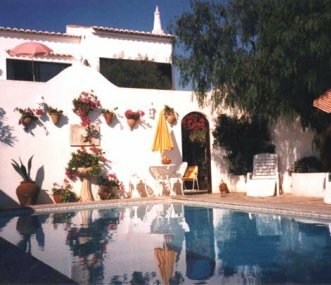 The Quinta is set amidst beautiful, extensive gardens in the Alvor valley close to Lagos in the western Algarve. Luxury villa, or boutique hotel, set in spectacular gardens with panoramic ocean views. 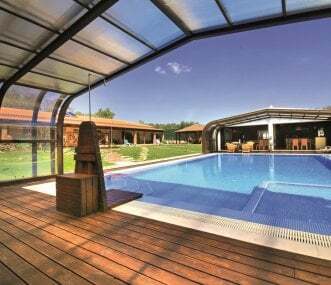 Stunning yoga studio & swimming pool - available for exclusive use on either a catered or self-catered basis. 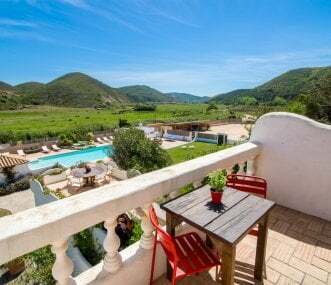 Situated in a rural and quiet area in the Algarve, Resort Natura is the ideal place for groups to socialize in a totally private and exclusive space. Self catering, half or full board also available.